With the aim of introducing the concept of Edutainment to the Civic Education field and documenting the efforts of Egyptian actors in that field, the Danish Egyptian Dialogue Institute (DEDI), in affiliation with NACE created the Civic Edutainment Manual. Civic Edutainment, as a new term, can be defined as the implementation of civic education methods through entertaining means and engaging activities. It does not only increase participants’ involvement and enhance their abilities to use their skills and experiences in the educational process, it also addresses deeper levels of consciousness that result in more impactful and transformative learning experiences. DEDI initiated the Civic Edutainment Manual to document the best practices in the field of Civic Education, that adopt entertainment and art as a way of learning. The documentation was done, based on participatory bases through a series of interviews and workshops with Egyptian organizations and practitioners. The ultimate objective of the manual is raising the awareness of the concept Civic Edutainment and encouraging CE practitioners to adopt it for more interactive and experiential learning experiences in CE field. 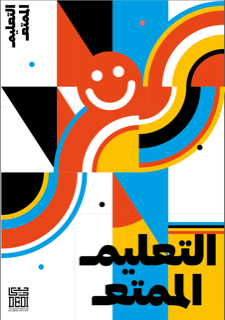 As the Civic Edutainment Manual is based on the experiences and lessons learned from actors working on Civic Education in Egypt, the first chapter released in March 2019 highlighted five methodologies, and their applications by five Egyptian organizations, providing a theoretical background for each method, and practical tips for each application. The five methodologies are, Role-playing (by Tahrir Lounge), Practice-based learning (by Lazord Fellowship at Gerhart Center), Drama (by Greenish), Debates (by Think Tank Development Solutions), and Creative expression (by Arab Digital Expression Foundation). 2-A short video promoting the featured methodologies and giving an introduction for the manual. In addition to five videos featuring the full interview of each organization for further details. 3-An interactive booklet with brief introduction for each methodology, along with practical tips. The Launch event of the Civic Edutainment Manual was held on Wednesday 13th March at DEDI’s premises in Zamalek Cairo. The event started with a welcome speech by Dr. Hans Nielsen, the Director of the Danish Egyptian Dialogue Institute, followed by brief insights by the lead author of the study and representatives from the five featured organizations. Finally, the attendees had a vibrant discussion on the following steps for the Civic Edutainment Manual and how to capitalize on the existing efforts. The event was attended by the Egypt-based members of NACE, the most prominent Egyptian actors at the Civic Education field and DEDI Civic Education projects’ alumni and partners.